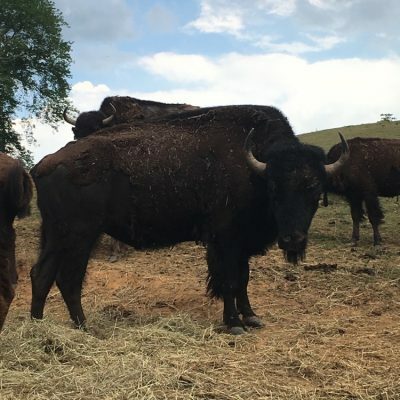 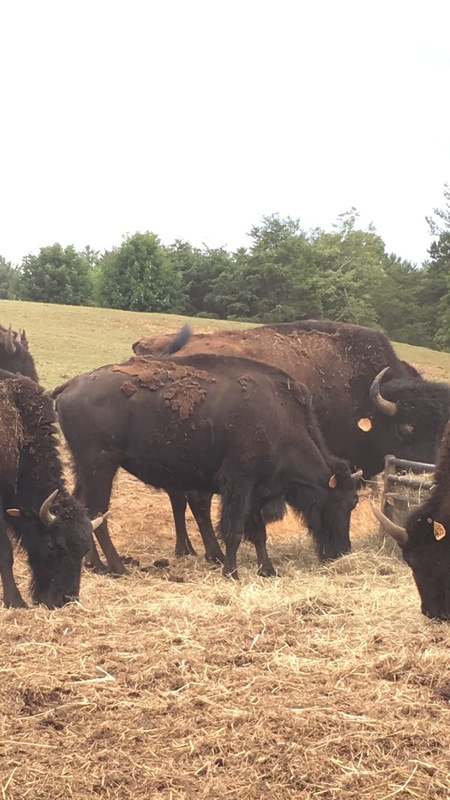 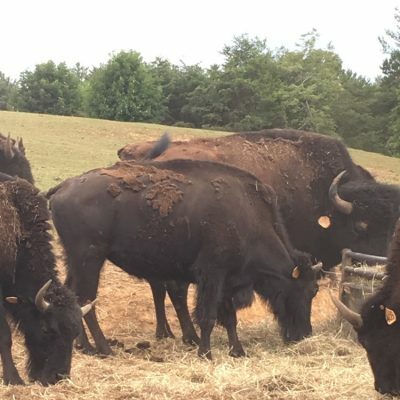 Since 1985, Dr. King has gathered, nurtured, and stewarded a Bison herd with vast diversity in order to restore, strengthen and optimize Bison genetics, once nearly wiped out. 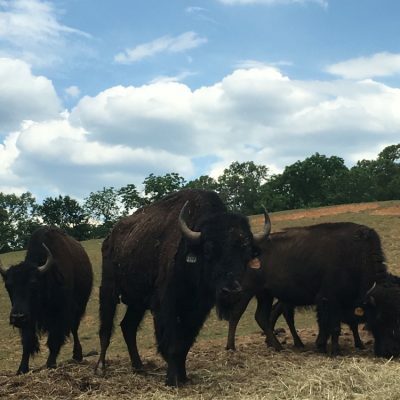 Bison in the United States went from an estimated 60 million down to approximately 1,000. 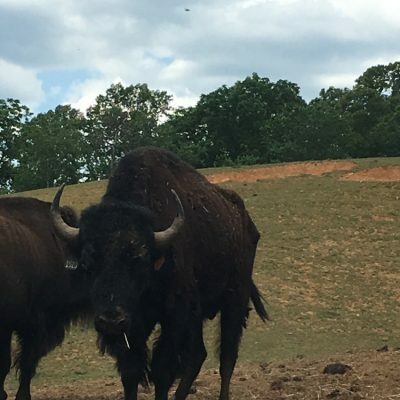 This radical decline narrowed the genetic pool dramatically. 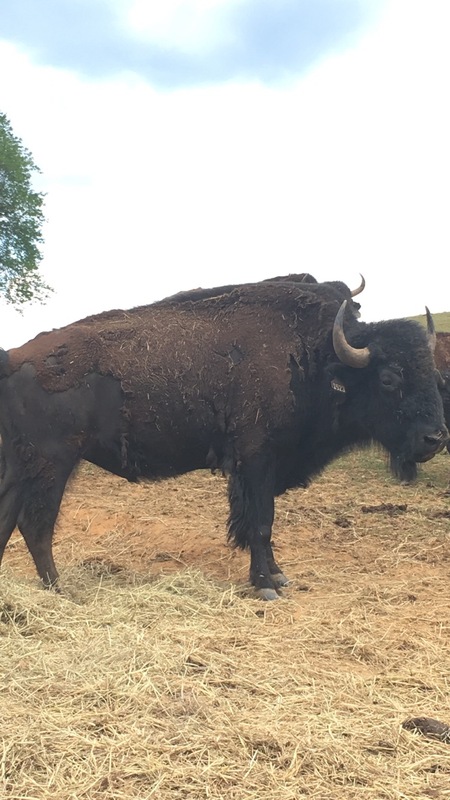 Naturally occurring Black Bison became very rare. 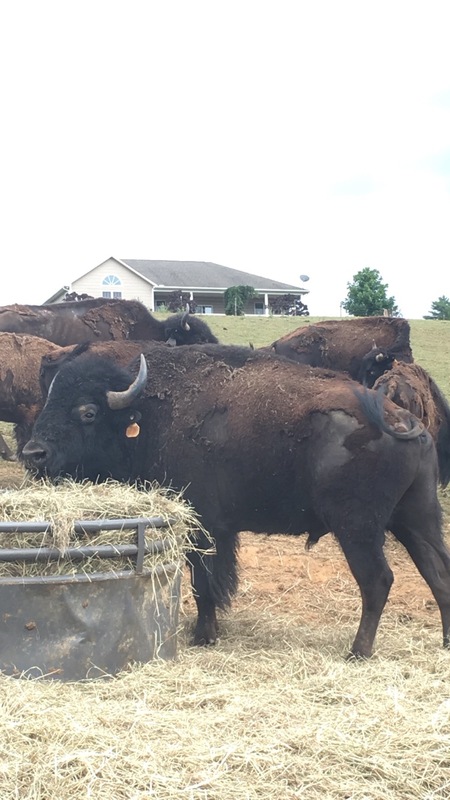 In the 1980s and ’90s Dr. King’s team conducted blood typing tests to discover and incorporate new Bison bloodlines into our herd. 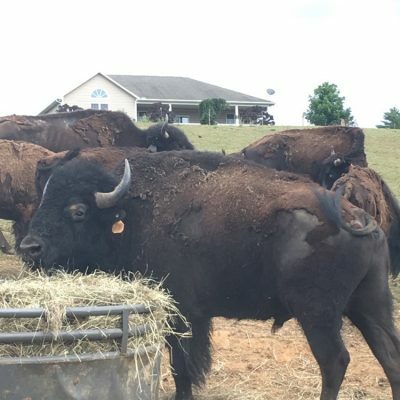 Today, we have added genetic testing. 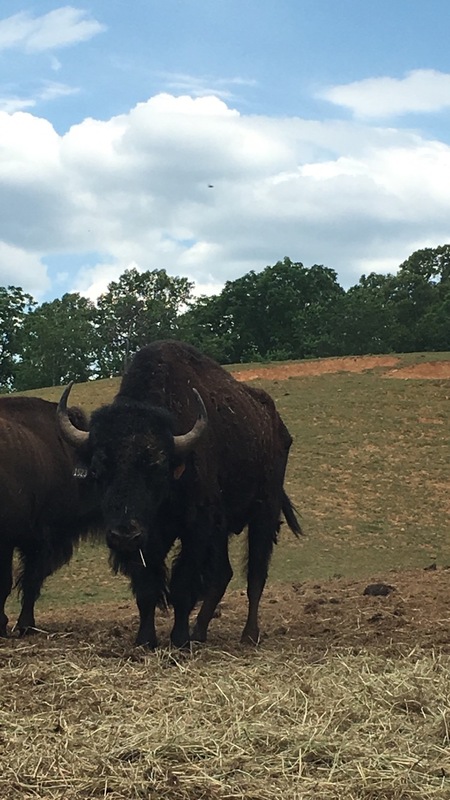 From this exhaustive search for Bison diversity we have both acquired and selectively bred for Black Bison, which many people find the most attractive. 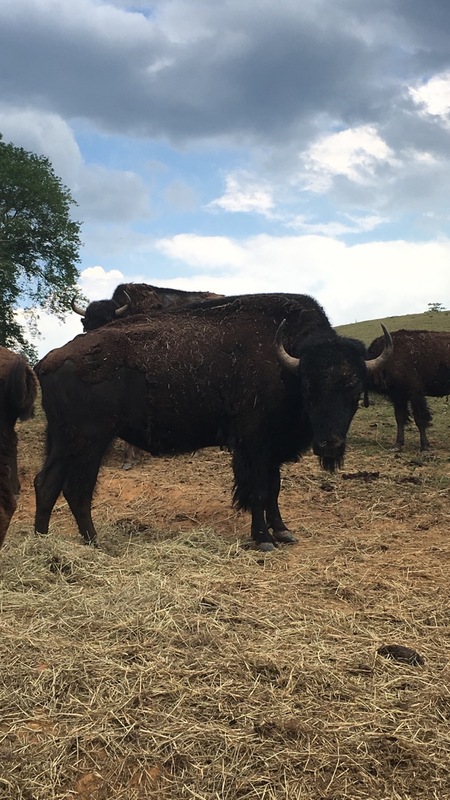 Our herd offers confirmation (healthy structure, balance) as well as productivity: achieving the greatest gain, thriving on grass and growing to the largest size, in the shortest period of time. 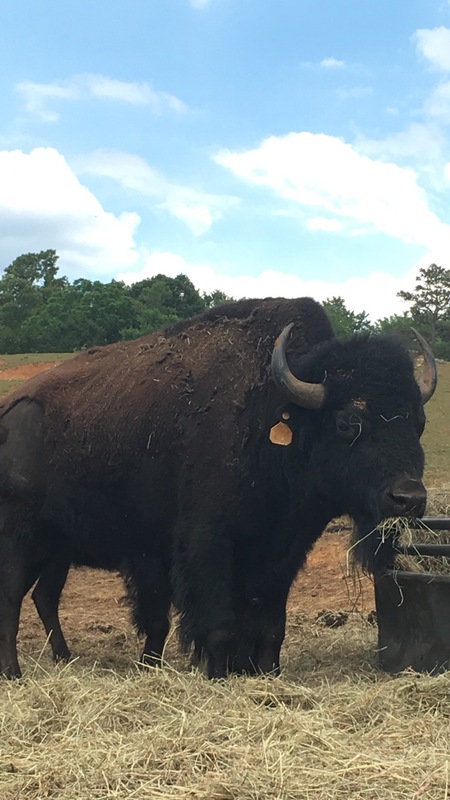 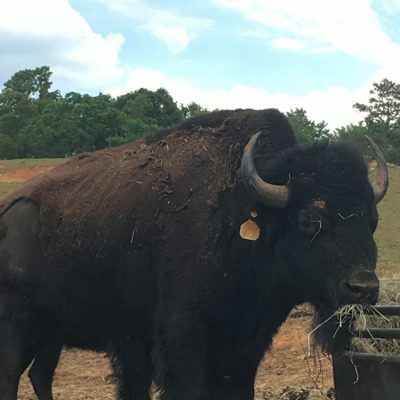 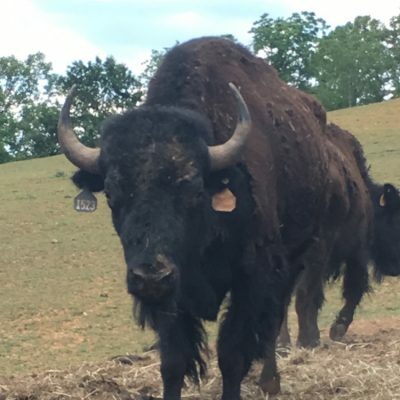 For more than 30 years, we have developed an exclusive, elite herd of Black Bison with high quality in both beauty and great size. 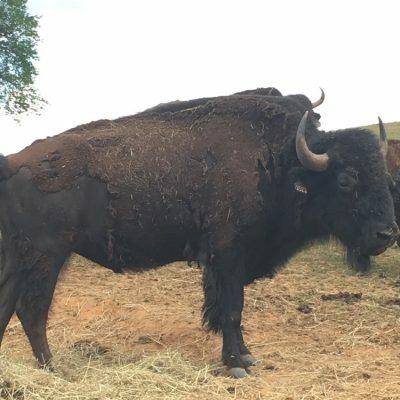 Bulls from our herd of Black Bison are sought after to add into other breeding herds of Bison. 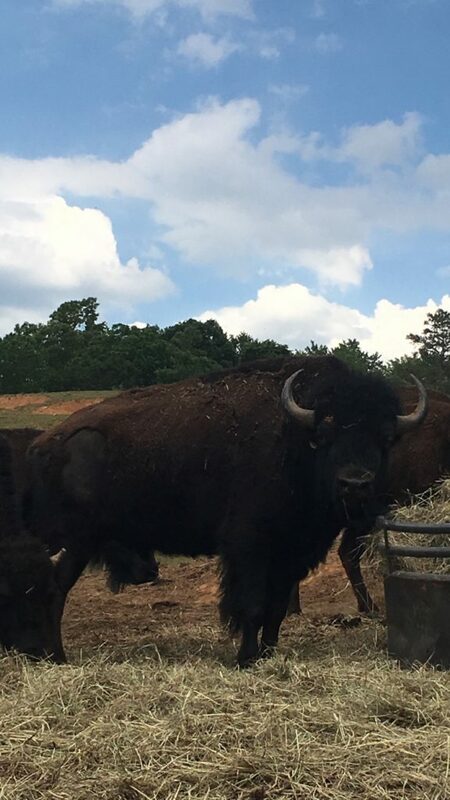 The darker Bison often sell higher than the traditional brown Bison. 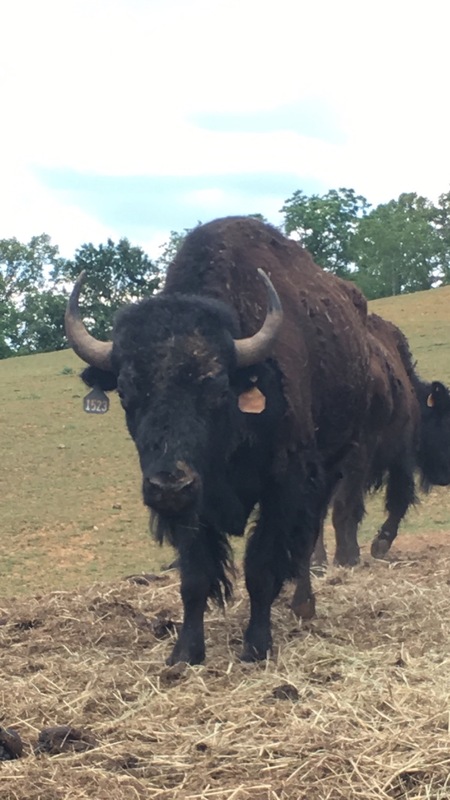 Their hides are sought after for their beauty and preference and well as their trophy mounts. 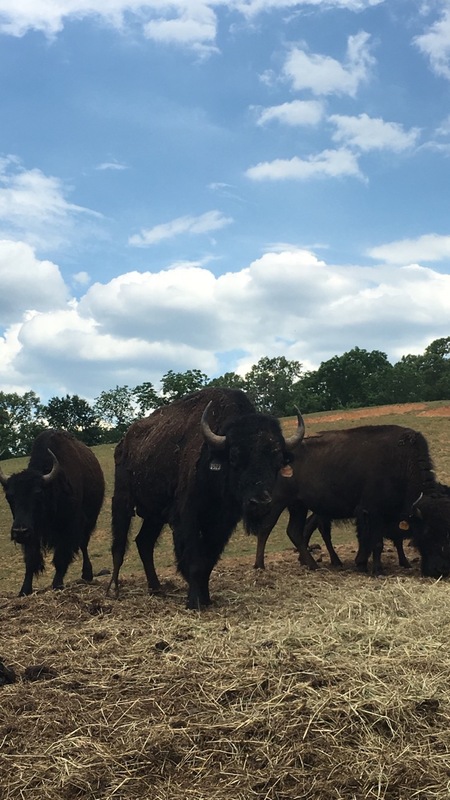 Our Black Bison are large framed, thick, meaty and attractive Bison to complement the nicest of Bison herds.